Celebrating the life of Pamela Darlene Sherer Ph.D.
Obituary for Pamela Darlene Sherer Ph.D.
Pamela Darlene Sherer, Ph.D, Professor Emerita, Providence College died on Sunday, April 7, 2019 after a long illness at the Philip Hulitar Hospice Center in Providence, Rhode Island. Sherer’s professional career in student affairs began at Quincy University in Illinois. She then moved to Worcester Polytechnic Institute in Massachusetts as their first female administrator, serving as Assistant Dean of Students. Her second career in academia, as a professor, began at the University of Massachusetts, Lowell where she taught organizational behavior and directed the Doctoral Program in Management Engineering. 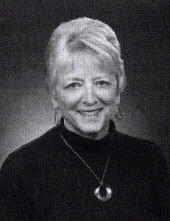 1n 1991, she joined the Providence College faculty as a member of the Department of Management. During her time there, she won several teaching awards, expanded her research to focus on the incorporation of technology into instructional design, and founded and directed PC’s Center for Teaching Excellence. She retired in 2018 as Professor Emerita. There will be a private service. Donations in her honor may be made to The Roger Williams Park Zoo, 1000 Elmwood Avenue, Providence, RI 02907. To send flowers or a remembrance gift to the family of Pamela Darlene Sherer Ph.D., please visit our Tribute Store. "Email Address" would like to share the life celebration of Pamela Darlene Sherer Ph.D.. Click on the "link" to go to share a favorite memory or leave a condolence message for the family.